A senior Labour activist suspended from the party over alleged anti-Semitic comments on Facebook has said she is appalled by the way she was treated. 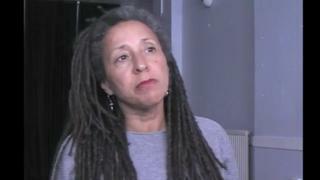 Jackie Walker, a vice chair of Momentum, wrote about "the African holocaust" and Jews as "financiers of the sugar and slave trade". She told BBC South East she was "horrified" to be suspended by Labour. Leader Jeremy Corbyn has set up an independent inquiry into accusations of anti-Semitism and racism in the party. Last week, former London mayor Ken Livingstone was suspended from the party for making comments about Hitler while speaking in defence of MP Naz Shah, who had earlier been suspended over accusations she was anti-Semitic. A party spokesman confirmed on Wednesday that Ms Walker had been suspended pending an investigation. Ms Walker said both she and her partner had Jewish ancestry. She was vice-chair of Momentum's National Steering Committee and also vice-chair of South Thanet Labour party in Kent. "I have been a lifelong campaigner for equality for all people and I am just appalled at the way I have been treated," she said. "I am not going to comment on anybody else who has been suspended because I don't know the full story of what is going on here. "I feel let down by the structures [within the Labour Party] that have allowed this to happen." Ms Walker defended her comments, posted on Facebook in February, saying they were complex. "What I said was that some Jews were major financiers in the slave trade and some of those people were my ancestors - as were some slaves," she said. "What I was pointing out in that context was that I have ancestors coming from both sides of a holocaust."